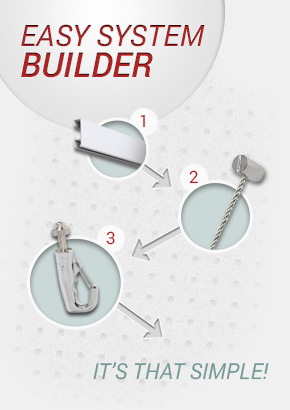 The White Self-Tapping plastic drywall Screw Anchor set is available in three different sizes. 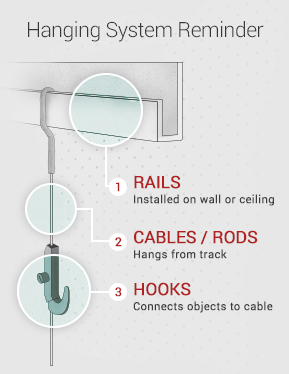 Each size upgrade increases weight capacity by approximately 20% in each instance based on variable wall and ceiling conditions and that Anchors are properly installed.It is highly recommended not to exceed the rails rated weight even with the use of Anchors able to tolerate more then the rails rating. E-Z Anchor Twist-N-Lock (25) Drywall Anchors and Screws. E-Z Anchor Twist-N-Lock (50) Drywall Anchors and Screws. E-Z Ancor Toggle-Lock 100 lb 2-1/2 inch Screws.